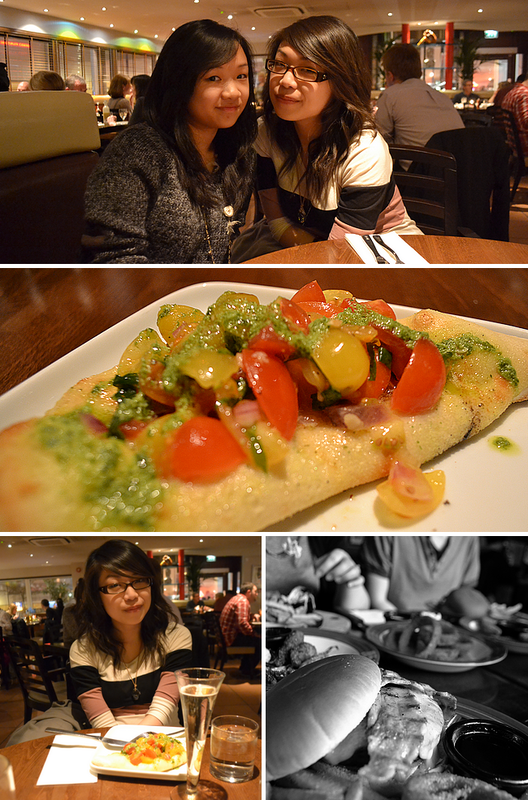 Birthday cake · Mulberry LFW newsletter · Bought Benefit Hervana at last (via Buyapowa) · My sister and I at my birthday meal! 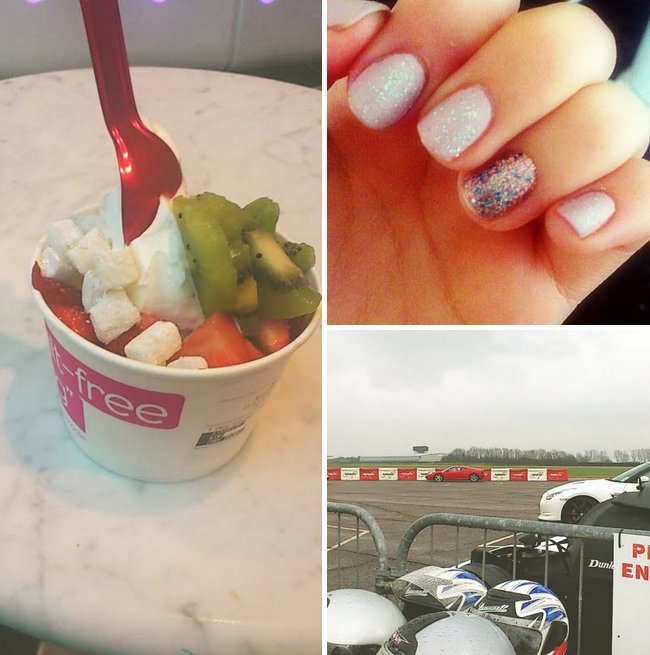 · Prezzo and TGI Friday’s meals · Frozen yoghurt in Westfield · Models Own Utopia with Juicy Jules on top, and Pink Fizz with Rimmel Disco Mix on accent nail (: · Took my brother for a driving experience in an Audi R8! It’s March! So I’m a fully-fledged adult type now apparently. 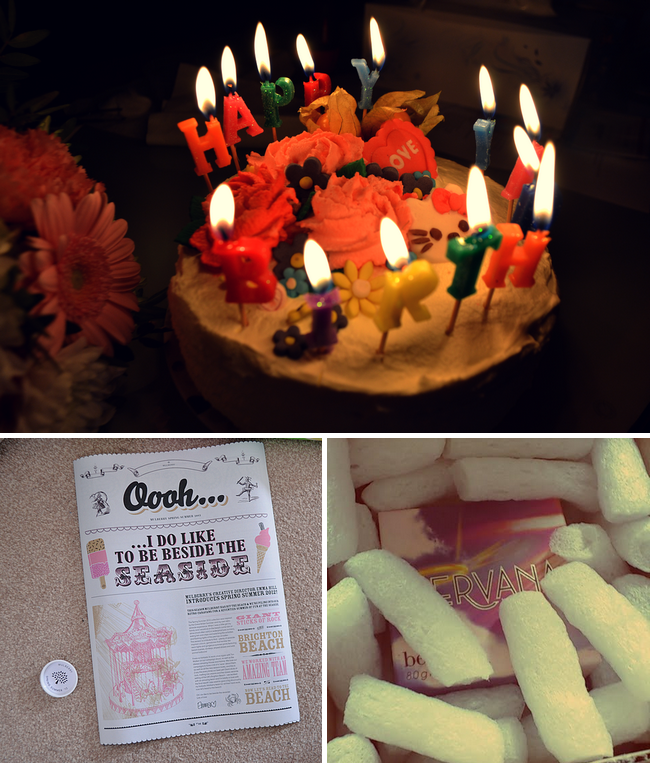 I’ve had a very understated birthday weekend at home and am probably never going to be hungry with the amount of food I’ve somehow consumed! I’m going out for another meal and cocktails with the Uni girls on Monday night though which will be nice, I’m half wondering how much more food I can stomach!